A Russian national indicted for hacking into point of sale systems at retailers throughout the United States and operating websites that distributed credit card data of thousands of credit card holders appeared today for arraignment in U.S. federal court, announced U.S. Attorney Jenny A. Durkan of the Western District of Washington and Assistant Attorney General Leslie R. Caldwell of the Justice Department’s Criminal Division. Roman Valerevich Seleznev, aka “Track2,” 30, of Vladivostok, Russia, was indicted by a federal grand jury in the Western District of Washington on March 3, 2011, and the indictment was unsealed on July 7, 2014. Seleznev is charged in connection with operating several carding forums, which are websites where criminals gather to sell stolen credit card numbers, and hacking into retail point of sale systems and installing malicious software on the systems to steal credit card numbers. Seleznev was transferred to Seattle, Washington, from Guam, where he made his initial appearance on July 7, 2014. Today, Seleznev entered pleas of “not guilty” to the charges in the indictment. Trial is scheduled for October 6, 2014. According to the allegations in the indictment, Seleznev hacked into retail point of sale systems to steal credit card numbers between October 2009 and February 2011. Seleznev also created and operated infrastructure using servers located all over the world to facilitate the theft and sale of credit card data and host carding forums. Seleznev is charged with 29 counts: five counts of bank fraud, eight counts of intentionally causing damage to a protected computer, eight counts of obtaining information from a protected computer without authorization, one count of possession with intent to defraud of 15 or more unauthorized access devices (stolen credit card numbers), two counts of trafficking in unauthorized access devices and five counts of aggravated identity theft. “This case will no doubt serve as a serious warning to cyber criminals. The Secret Service will partner with law enforcement worldwide and will not relent in the pursuit of transnational cyber criminals that try to exploit the U.S. financial payment systems” said Secret Service Assistant Director Paul Morrissey of the Office of Investigations. The case is being investigated by the U.S. Secret Service Electronic Crimes Task Force, which includes detectives from the Seattle Police Department. The case is being prosecuted by Assistant United States Attorney Norman M. Barbosa of the Western District of Washington and Trial Attorney Ethan Arenson of the Criminal Division’s Computer Crime and Intellectual Property Section. The Criminal Division’s Office of International Affairs and the U.S. Attorney’s Office for the District of Guam provided substantial assistance. 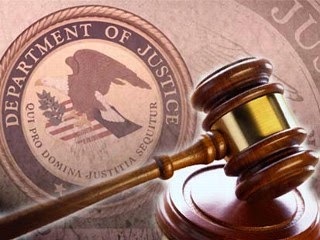 Seleznev has also been charged in an indictment filed in the District of Nevada that was returned on Jan. 10, 2012, and unsealed on Nov. 13, 2013, alleging that he participated in a racketeer influenced corrupt organization, conspired to engage in a racketeer influenced corrupt organization, and possessed counterfeit access devices. Seleznev, referenced as “Track2” in the indictment, and 54 others are charged with being members of the “Carder.su” organization, which allegedly trafficked in compromised credit card account data and counterfeit identifications and committed money laundering, narcotics trafficking, and various types of computer crime. Seleznev allegedly operated a website that sold stolen card information to members of the Carder.su organization. Thus far, at least 25 of the defendants have been convicted, and several others are fugitives. The Nevada investigation is being handled by Immigration and Customs Enforcement – Homeland Security Investigations and the U.S. Secret Service. The Nevada case is being prosecuted by Assistant U.S. Attorneys Kimberly M. Frayn and Andrew W. Duncan of the District of Nevada and Trial Attorney Jonathan Ophardt of the Criminal Division’s Organized Crime and Gang Section. The charges contained in the indictments are only allegations. A person is presumed innocent unless and until he or she is proven guilty beyond a reasonable doubt in a court of law. Wasn't it Kruschev who speaking to Americans said something like, "We will bury you!" Perhaps he was right. The shovel, however, is not a nuclear weapon. It is a computer.